A panel of judges selected the photographs now featured in the Rugby 2019 calendar, which celebrates the competition's 'past and present' theme. 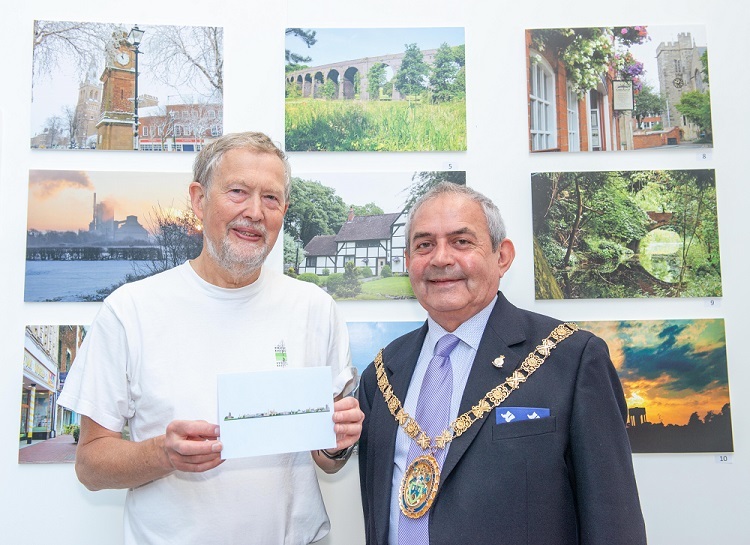 Paul Farley was crowned the overall winner for his photograph, Architectural Variety in the Town Centre, which features a montage of iconic and historic buildings in the town centre. The Mayor of Rugby, Cllr Tom Mahoney, congratulated Mr Farley during a ceremony at Rugby Visitor Centre, where he was presented with his prize - £110 in town centre shopping vouchers courtesy of competition sponsors, Rugby First. All 13 winning entries have now gone on display in the foyer of Rugby Art Gallery and Museum, together with a selection of other entries which narrowly missed out on making it into the calendar but impressed the panel of judges. Copies of the Rugby 2019 Calendar can be bought at Rugby Visitor Centre, priced £8. The standard of entries to this year's competition was very high, and with more than 50 entries, I know the judges had a tough time selecting the winning photographs. The annual competition celebrates the best of Rugby and the 2019 calendar certainly does the borough proud. Image: The Mayor of Rugby, Cllr Tom Mahoney, congratulates Paul Farley on winning the Rugby 2019 Calendar Competition.